Posted 30th April 2016 by Josh Schouten. Momentum Training are now offering Yoga sessions to all those who need a little help with their flexibility or perhaps just want to get a little better at it. This is one class of all levels. Alex’s experience with CrossFit and strength and conditioning give her the understanding of where you need to work on most. Allowing you to get the most from her session with maximal crossover to the rest of your weeks training. Should I go to Yoga? Simple. See you at Yoga 2 pm Sunday & every Sunday. £10 drop-ins. Bring a friend or 3! Posted 27th April 2016 by Jenna Fisher. Posted 24th April 2016 by Josh Schouten. BreakingMuscle.com: Stress Is Ruining Your Fitness – Training really comes down to one thing: stress management. In the gym you add stress to try to push your body to a new level. Outside the gym, you do everything you can to alleviate the stress imposed in the gym. ScienceDaily.com: Eating dark chocolate as a daily snack could help boost athletic performance – Dark chocolate has already been hailed for its positive effects on cardiovascular health — and now a study undertaken at London’s Kingston University has found the tasty treat could help give sports enthusiasts an extra edge in their fitness training. StrengthSensei.com: Nutrition Basics Explained Simply – We have been told to focus on healthy grains, to avoid fat, to focus on high protein, to eat like a caveman, and the list goes on. Posted 19th April 2016 by Geoff Stewart. Posted 17th April 2016 by Josh Schouten. Something a little different this week, something that all of us should stop and read often. I’ve just spend the last week in Thailand on Ido Portal’s Movement Camp 2016, and Ido kick of this year in the same manner as the 2015 camp. 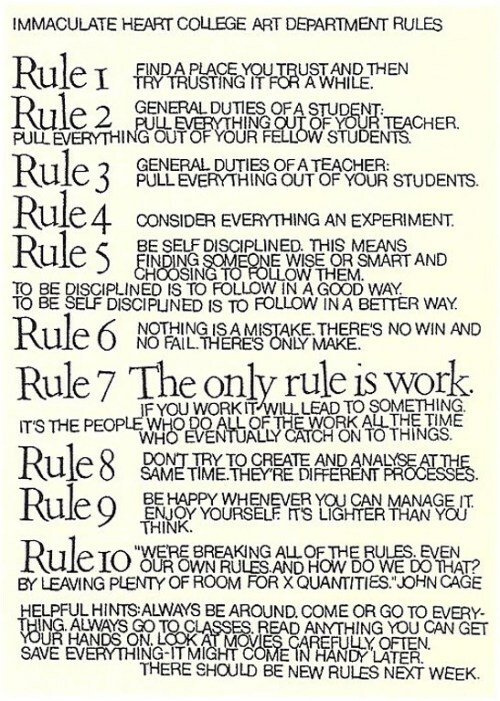 The 10 rules for students, teachers and life by John Cage. 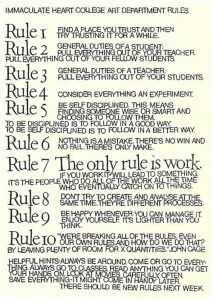 RULE EIGHT: Don’t try to create and analyse at the same time. They’re different processes. Posted 14th April 2016 by Josh Schouten. Posted 12th April 2016 by Geoff Stewart. Working with a partner in a UGIG format working through list. Posted 10th April 2016 by Josh Schouten. StrengthSensei.com: The Importance of Proper Form – For the readers who have their eyes and ears open for the truth, here are some recommendations regarding exercise performance. Draxe.com: The Dangers of Low-Fat Dairy – There’s no shortage of low-fat dairy options in your grocery store. And we’ve certainly been programmed to reach for those low-fat and fat-free cheeses, yogurts and skim milk options over the years. But the question is, are these fat-deprived products really better for us? 1. Hydration is key – you need to be staying hydrated throughout the day so that you body can function correctly. Get your hydration levels right immediately. 2. Fix the gut – if your digestive health is no 100% what is the point in counting your calories, balancing you macros or taking supplements? If your are not taking a “number two’s” one to two times per day you have faulty plumbing. Diarrhea or constipation are not normal and needs to be fix immediately. A food sensitivity (IgG ) & candida profile test should be the first point of call here and certain food should be removed form the diet to allow the digestive system to recover. 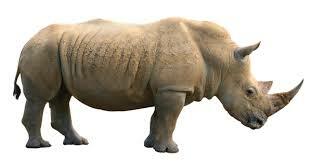 Every single client I’ve sent for a food sensitivity test comes back with at least 1 food they should avoid. You can have the best diet in the world and not see any results if the digestive system can not break down the food and absorb the vitamins and minerals effectively. A top shelf probiotic is well worth the investment and should be seen as a preventative supplement that EVERYBODY should be taking all the time. 3. Understand the quality and quantity of food you should be eating – I’ve written about calories in the past, and I plan to post more details in the future. I’m do not believe that simply balancing your calories will get you the results you want. I like to use calories as the first step to see how committed a client is to making changes and to give them an idea of food volumes. 4. Know you macros – Only after a client has achieved point 3 would I suggest they started looking at their macros (Protein, Carbohydrates and Fats). Protein should ALWAYS be the first target to hit, followed the correct carbohydrate intake and finally the fat intake. 5. Understand the demands of training: Training volume and rest days will have an impact on the volume of food and the macro balance. Again, its pointless moving to this step if a client has no idea how to balance their calories and macros first. This is where most people fu**-up big time when they get the idea that training multiple times per day will speed up their results, they failed to understand the nutritional demands of such training volumes. Its only a matter of time before they overtrain, lower their immune system and get sick. 6. Supplements – Are way down the list of and the majority of them should only be added to a nutritional plan after all of the about steps have been considered. Supplements can be added to help improve health, body composition (fat loss), and sports performance at this stage. Supplement can have a big impact on health and performance if managed correctly, more is not always best. There are however some supplements that everybody should be taking all of the time, all year round, for the remainder of your life….. unless you live on a farm far far away form the big cities, you eat organic meat and you grow your own vegetables and spend most of your days outside in the sunshine with zero stress? Back to reality, now that we have the basics out of the way, lets talk about the top 5 supplements that everybody (not just CrossFitters) should be taking to stay healthy and prevent illness. 1. Probiotics – this comes back to point number 2, Fix the gut. “It is estimated that 500 to 1,000 species of bacteria live in the human gut Bacterial cells are much smaller than human cells, and it is often said that there are at least ten times as many bacteria as human cells in the body, although the actual ratio has not been strictly defined. There is a point of view that human body contains approximately 1014 bacteria cells,while the number of human cells has been calculated to be at least 3.72 * 1013.The mass of microorganisms are estimated to account for 1-3% total body mass.” Wikipedia. These little suckers have a huge roll to play in our overall health and new study are showing how low levels of bacteria or an imbalance of spices can cause serious disease, illness, inflammation and obesity. 2. 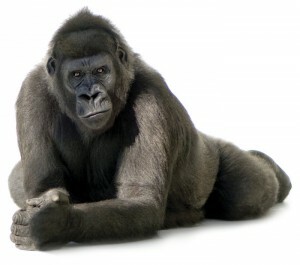 Fish Oils (Omega 3) – our model diets are far too high in omega 6 and far too low in omega 3. The ratio of these fatty acids should be 1:3 (o3:o6) and western diets are said to be anywhere between 1:10 and 1:25. he replacement of HEALTHY saturated fats with plant and seed oils has created a severely imbalanced ratio. This imbalance raises the risk of developing a degenerative disease considerably. Most people know about the improved cardiovascular health and function, improved lipid profiles (lower triglycerides), improved brain function and mental acuity, and its powerful anti-inflammatory properties without harmful side effects like over the counter products. Fats from animal sources are far better for our health and body composition, and should be recommended not avoided or replaced. These are the same fats we’ve relied on for over a million years to support our human body and brain. 3. Magnesium – is probably one of the top three recommended supplements for athletes from those in the know. Magnesium (Mg) is an essential element in biological systems and most athletes are typically deficient because Mg is necessary to produce ATP (the main source of energy in our cells). Recent studies have found that 85% of Brits are deficient and we all know that most Brits lead a typical sedentary lifestyle. Mg is important to athletes because it regulates heart rhythm, allows muscles to contract and relax properly, and reduces blood pressure. Supplements based on amino acid chelates, such as Mg glycinate and Mg malate are much better tolerated by the digestive system and much more absorbable by the body the other (cheaper) forms of magnesium such as Mg oxide or Mg carbonate. 5. Vitamin-D – Did you know that 58% of people living in Australia are suffering form a Vitamin-D deficiency? 87% of Brits are suffering from deficiency and this is partly why its important to supplement with Vitamin-D. Vitamin-D levels affect sports performance and athletes typical perform better in the summer months when their vitamin-D levels are higher. The UK Vitamin-D Council list 45 heath conditions that are linked to Vitamin-D deficiency ranging from asthma, depression, cancer, MS and even heart disease. Can you honestly afford to be deficient?